We are excited to announce that our client, Virginia Solar, a Virginia-based solar developer, sold four solar projects, each located in the Commonwealth, on November 21, 2016 to an affiliate of Dominion Resources, Inc. 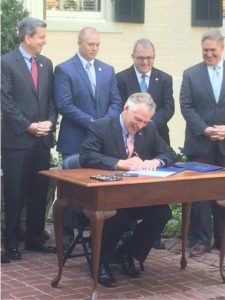 The four solar projects, located in New Kent, Buckingham, Sussex and Powhatan counties, will bring approximately 80 megawatts of solar energy to Virginia. These solar projects represent four of the solar farms referenced in Amazon’s press release of November 17, 2016 which can be found here. If you have any questions about solar project development in Virginia, please contact one of our renewable energy attorneys. Grab a Mug. Solar Focus Three Weeks Away. Solar Focus 2016, the annual conference of our Maryland-District of Columbia-Virginia chapter of the Solar Energy Industry Association (MDV-SEIA), begins November 16 at the Renaissance Washington DC Downtown. Once again, GreeneHurlocker will be pleased to sponsor the coffee/refreshment breaks and join in the usual spirited discussions about how to promote and grow the role of solar energy in our lives and our businesses. Among the meetings will also be a job fair for folks who are looking for help in their firms or looking for opportunities in solar, and the job fair includes a career panel discussion, Exploring Career Pathways in Renewable Energy. The best news is that the general public is invited FREE to the jobs fair. 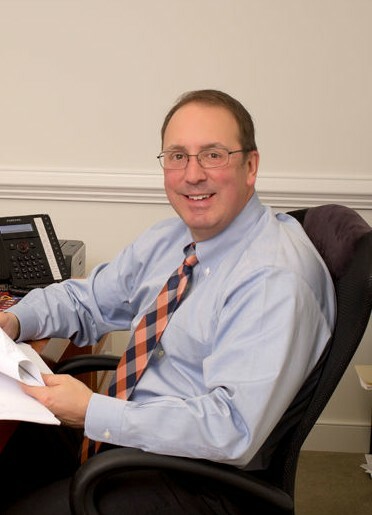 I hope you will look me up when you’re in DC, I’ll be out in the halls with my MDV-SEIA Board Member hat on and would love to talk with you about the things on your mind and what your firm is looking forward to in the next year. You’ll be able to find me standing by the coffee pot. If you want more information about MDV-SEIA or to talk about renewable energy development just give me a call, or talk to any of our solar energy lawyers. Dominion Power reports that three solar-energy projects will become operational by the end of 2016. These are expected to deliver 56 megawatts at peak power to the regional grid. Details are on Virginia Business’s website. Dominion’s projects are Woodland Solar in Isle of Wight County, Whitehouse Solar in Louisa County and Scott Solar in Powhatan County. At peak power, the combined output of the installations could furnish power equivalent to that required by 14,000 homes. We applaud these efforts of Dominion, as well as others both private and public, that are increasing the contributions of solar and other renewable energy sources to the state and mid-Atlantic region. If you have any questions about these projects or issues in renewable energy capacity and regulation, call one of our Virginia energy lawyers.